Nature has a world of wonder to show us, but it can also present significant challenges to even the most experienced of photographers. Woodlands, forests and even jungles can all be difficult to take proper snaps or image through binoculars or telescopes, so it is reasonable to assume that a little help is needed. At Sherwoods Photo, we have a fantastic range of products that will make light work of even the most awkward of terrain, allowing you to get a truly spectacular perspective on wildlife. Our Acuter Scopes are designed to be affordable, rugged and of a high quality. The Mak-70, for instance, is sleek and compact but will give you incredible magnification capability, so you don’t have to get up close potentially ruining your opportunity to image. The light transmission is some of the best around due to the Fully Multi-Coated design yielding fantastic resolution and contrast. One of the biggest problems effecting your shot is the focusing, with awkward or stiff operation causing your scope to wobble. The Mak-70 has a super smooth action making zooming a joy that won’t frustratingly impinge on your shot. If you are wanting to step up in technology when imaging the natural world, then the Acuter DS-Pro ED series is a particularly good option. It offers waterproofing, which can allow you to make the most of a hidden world that exists in rain or snow. The design is all-premium, removing chromatic aberrations from shots while also offering super high contrast and pin-sharp colours. The fine focus Double Speed Focuser will give you a 15:1 ratio to allow you to get those all important shots as perfect as possible for professional grade work. It is an adaptable piece of kit as well since you can attach standard 1.25” Push-Fit telescope eyepieces, while the 20mm eye relief is great for those who are wearing glasses. If you are wanting to go for bird watching binoculars or scopes, we have a great selection. Celestron are a renowned manufacturer of high quality bird watching scopes, each of which will benefit from the high quality, robust tripods that are available with them. If you are going for the Maksutov C90 Mak, then it is always best to pair it with a tripod especially made for the device. The C90 itself is a dual purpose scope that can be used for astronomy as well as for imaging the natural world. It is built to be compact and portable and will provide you with exceptionally crisp images, living up to its price tag as a premium, professional grade scope. The erect image system creates significant advantages for both terrestrial and astronomical use while the T-Adapter will allow you to attach cameras easily. The scope also offers significant versatility with a 32 mm eyepiece, 45° erect image diagonal and 8×21 erect image finderscope. The Celestron Granite Roof Prism is a great binocular to invest in with ED low dispersion glass offering fantastic resolutions and contrast. If you’re considering entering the wonderful world of bird watching then we can provide some helpful tips to get you started. We can tell you everything from how to spot a bird down to what type of equipment you will need. Every second counts when it comes to bird watching; therefore, you should quickly try to identify its specific details. Don’t head straight to a bird guide to find out what type it is. Simply make notes quickly to ensure you don’t forget anything; however, don’t focus too much on this as the watching is more important than the writing. In order to place a bird in the right family of birds, there are certain things you will need to identify, such as its size, markings, shape, feeding habits and movements. Try to remember everything you can about the bird. Was it as small as a robin, as big as a turkey or something in between? Did it make smooth movements or was it a little more awkward? Did it have patches of colour or feathers on its head? If you have the opportunity, try to watch their feeding habits. Look out for what the bird is eating and how the feed. Do they dig at the bark of a tree? Fly across a lawn looking for insects? Does it head to the edge of a pond? Their feeding habits will also help you to identify the bird’s species. Different birds inhabit different regions; therefore, you should jot down where it was you spotted them. Was it a wetland or woodland? Was it a rural or urban setting? By taking note of the region, you can narrow down the possible bird species. However, birds migrate depending on the season, so ensure you note down the time of year you saw the bird. It’s important you invest in high quality bird watching telescopes to ensure you make the most of your bird watching experience. At Sherwoods, we only provide our customers with the finest telescopes and binoculars so you don’t miss a second of the action and they’ll allow you to get a closer look at the beautiful birds. We can provide a wide variety of telescopes and binoculars for a variety of different uses, and from some of the best brands in the industry. Therefore, we encourage you to browse our Barr & Stroud, Pentax and Celestron telescopes, plus so much more. All bird watching enthusiasts should invest in the Brinno Birdwatch Camera as they can take snaps of birds from 1.5m to 3m away from the targeted area. Mount and target it at your birdfeeder, or anywhere that’s common for birds to go, and the motion activated camera will take a snapshot of it. For further information on our bird watching binoculars, telescopes and accessories, please don’t hesitate to contact us today at Sherwoods. Ever wondered what your cat spends its time doing when you’re not around? Where do our purring pets go when they disappear through the cat flap? Armed with micro-cameras, a team from BBC Two’s Horizon programme in collaboration with the Royal Veterinary College set off to a Surrey village to find out. If you fancy having ago at seeing what your feline friend does during the day a similar idea to that of the ‘cat cam’ is available HERE. 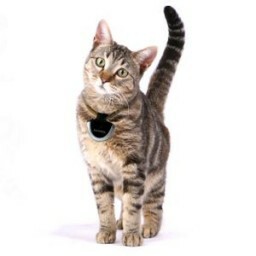 The first of its kind video camera firmly attaches to your pet’s collar thanks to its especially-designed fastening clip. With the video camera safely in place, press the Record button to start recording. When you have finished recording, recover the camera and connect it to your PC using the USB cable provided. The recorded video sequences can then be viewed directly onto your computer screen without the need for any drivers or installation CDs. If you’re keen to observe the night sky (and why wouldn’t you be) then you will no doubt be thinking of investing in an astronomical telescope. Of course, these aren’t the kinds of instruments you go out and buy every day so it is important to take a little time to research the topic before you part with your hard earned cash. Below are a few aspects which you will more than likely need to consider in this respect. Your choice of telescope will be affected by both general and specific factors. General factors include aspects such as how much you can afford to spend, how much space you have, where you will be using your telescope and how exactly you want to use it. More specific factors will include aspects like how portable you want your equipment to be, and which of the two main areas of interest – deep sky or the planets – you will be most interested in focusing on. If your main interest lies with observing planets then you will need a telescope that is able to provide excellent views at high magnification. If you’re keen to explore deep sky objects through your scope then large aperture is more of a consideration than magnification. While most astronomical telescopes will allow you to see both planets and deep sky objects, your option to specialise in observing one or the other will depend a lot on where you will be doing your stargazing. Whilst being in an area where light pollution is an issue will not have much affect on your ability to view the moon and other planets, it will mitigate your chances of enjoying deep sky observation considerably. You may be surprised to learn that power isn’t everything when it comes to choosing a suitable telescope. In fact, a telescope’s capacity to gather light (known as its aperture) is generally the determining factor in how much you will get to see. Indeed, it is often the case that the clearest and sharpest images are those which are obtained at much lower powers. A small, high quality achromatic refractor with an aperture of between 60 and 80mm is ideal for a novice stargazer’s telescope, especially if it’s just the main planets and the moon that you’re looking to observe. Not only are these scopes relatively cheap and simple to maintain, they are also highly portable so you can easily carry them to locations which may be more favourable than your back garden. If you’re looking to view galaxies and nebulae then you may well need to invest in a slightly more expensive telescope with a 90 or 100mm refractor. With more than 70 years of experience, we here at Sherwoods are able to offer unparalleled advice and guidance when it comes to purchasing telescopes for novice stargazers. To take advantage of this experience,call 01527-857500 or send us a message by emailing info@Sherwoods-Photo.com. It’s no good having the perfect bird watching binoculars if you’re nowhere near any interesting feathered creatures. With this in mind, you might be keen to find the best spots to view birds. Luckily, there is plenty of advice available over the web. For example, Tiscali has highlighted some top locations, including estuaries, marshes, islands and nature reserves. One area you might want to take your binoculars to is the Insh Marshes in Speyside, Scotland. This national nature reserve in the Highlands is one of Europe’s most vital wetlands and there are plenty of birds to see. For example, from October until March, you can check out whooper swans and grey geese. Meanwhile, in spring, half of the UK’s goldeneye population nests there and you can also look out for snipe, wigeon, redshank and curlew. By the time summer comes, lapwings should be easy to see. It added: “The RSPB reserve in the estuary has winter avocet flocks you can see on an RSPB boat cruise. Elegant little egrets haunt the rivermouth year-round, and the beautiful goldfinch visits in autumn. Along the coast from the rivermouth, at Sandy Bay, there is a kittiwake colony in the towering cliffs, and the Royal Marines, who have a firing range near to the colony, have set up a ‘kitticam’. You can even check out some great bird life right in the capital. The Wildfowl and Wetland Trust Centre is based in Barnes, London. If you make a trip to the spot in summer, you might be able to see egret, garganey, black-tailed godwit, and hobby falcons. Meanwhile, during spring sanderlings, stone curlews and avocets, as well as wading birds such as lapwings, have been spotted, as have sand martins. Wales isn’t without its bird watching spots either. The Gigrin Farm in Rhayader is a great place to spot some interesting winged creatures. Located in the middle of Wales, this 200-acre upland sheep farm boasts “stunning views” over the Wye and Elan Valleys. Until 1992, it was just a farm, but then the RSPB approached the owner with a view to opening it up to the public as a red kite feeding station. It is now the most famous red kite feeding spot in the UK and everyday you can see the birds engage in spectacular aerial displays as they swoop for food. If you’re on the lookout for new binoculars, you’ve come to the right place. Here at Sherwoods we offer a superb range of these items, as well as telescopes and more. Like many people you may have received a telescope as a gift last Christmas. Indeed, you may have asked for this particular present after getting hooked on the BBC’s excellent ‘Stargazing Live’ programme last year. Of course, examining the heavens is not always that enticing in the winter, as standing around in sub-zero temperatures late at night has limited appeal when you’re not quite sure what you’re supposed to be looking at. However, now that the clocks have gone forward and the temperatures are considerably milder than they were in January and February (and March. And April! ); you can dig out your prematurely stored telescope and really get your teeth into the amateur astronomy that Professor Brian Cox and Dara O’Briain got you turned on to. If you really have only unpacked your telescope a handful of times since Christmas then you will probably be a little uncertain about how best to enjoy all the wonders that the night sky has to offer at this time of year. This is not a problem though as we here at Sherwoods are more than happy to provide you with some handy tips that will help you to get the most out of your ‘new’ telescope. If there is a full moon present then you would do better to schedule your stargazing session for another night. The reason for this is that the light from a full moon makes it very hard to distinguish things which are normally quite easy to see. In general, the best nights for stargazing are those with thin slivers of moon as they provide you with clear dark skies as well as fantastic crater shadows on the moon itself. When getting your telescope ready for a night of scanning, take the covers off and leave it outside for at least half an hour before using it. This will enable the optics and the air inside the tube to get used to the difference in temperature between your house and the outdoors (which can still be significant at this time of year). If you try and use your scope as soon as you set it up then the lenses within it will more than likely fog up and impede your attempts to observe the heavens. You must bear in mind that astronomical telescopes magnify things a hundred times or more; therefore even the tiniest of shakes will be magnified many times over. Unfortunately, it is a fact that many of the tripods which come with introductory telescopes are not known for their rock solid stability so you need to be very conscientious when you are looking for a place to set up. If you are staying within the realms of your back garden then setting up on your patio or lawn will probably be your best bet as they will provide your tripod with a solid base.